What do Jennifer Lopez, Drake, Shaq and Michael Jordan have in common? They’ve all invested in the video gaming industry, which is now a $180 billion global business. Yes, that’s billion with a ‘B’, and global with a ‘G’. Whether it be esports, video games or online betting portals, there are now many brands, celebrities and athletes all capitalizing on gaming’s explosive growth. Gaming isn’t just fun—it’s big business, and now’s the time to get involved. The numbers alone paint a clear picture of just how expansive that growth has been and will continue to be. Here’s what you need to know. Big investments and partnerships are being formed. 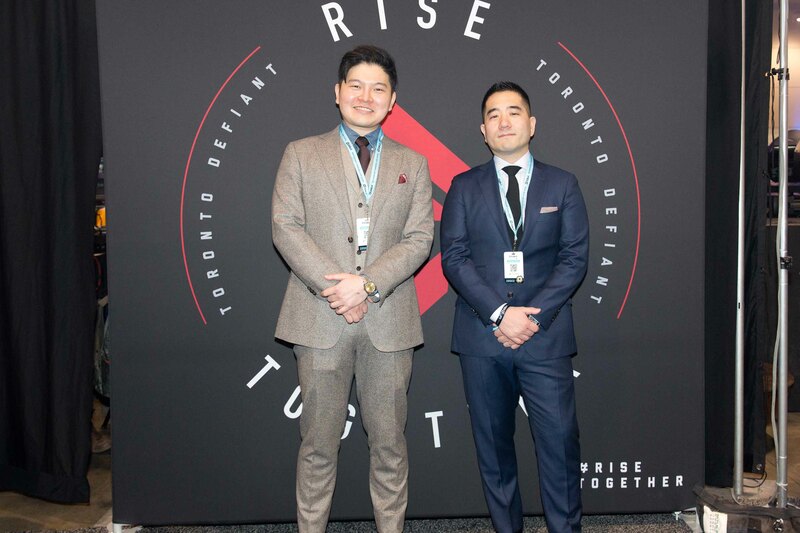 OverActive Media Group’s Toronto Overwatch League team partnered with us at EGLX. In a recent reports from NewZoo it was found that in 2016, the esports audience was composed of 121 million esports enthusiasts and 160 million occasional viewers. 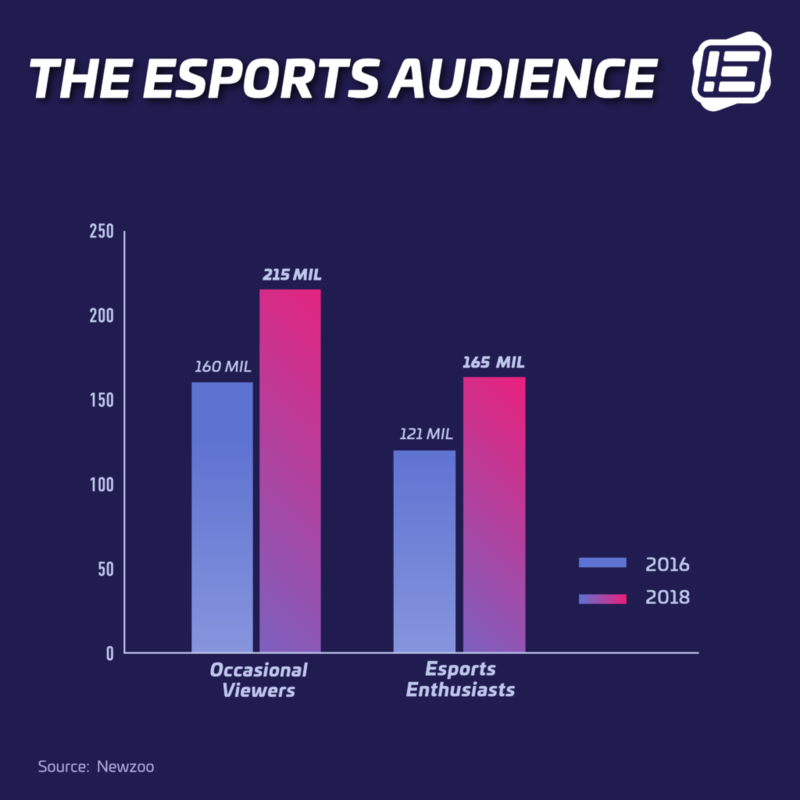 Now in 2018, occasional viewers make up the primary audience amounting to 215 million viewers, contrasting the esports enthusiasts at 165 million. That 35% growth is merely decorative compared to what the numbers are actually saying. The numbers are telling us that esports content is now being consumed not only by avid fans, but by casual viewers, which is the cornerstone of a mainstream shift. Numbers don’t lie: the esports industry is on fire. 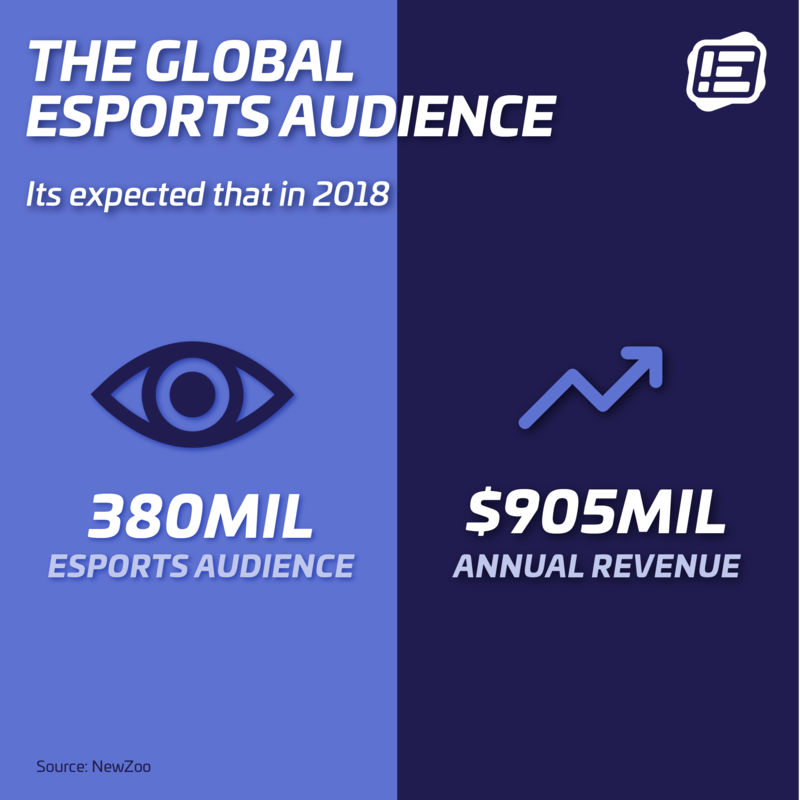 In a report by Newzoo, it’s expected that in 2018 the global esports audience will reach 380.2 million and will generate over $905 million in annual revenue. 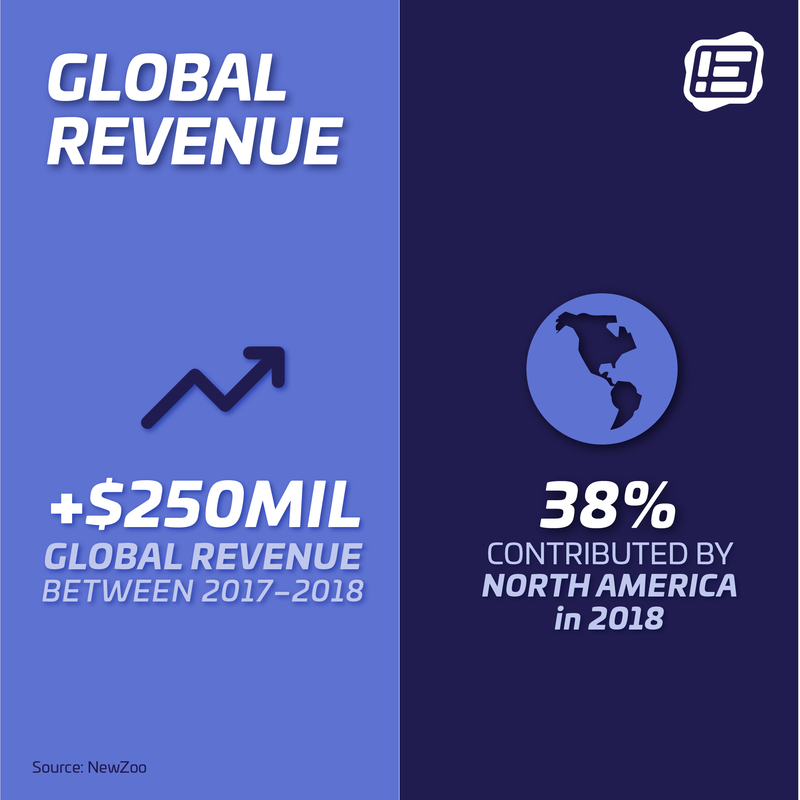 With an increase of over $250 million global revenue compared to 2017, North America will lead the global revenue spend contributing 38% of the total in 2018. Another indication of esports going mainstream is the strong increase in sponsorship and media rights revenue. Sponsorship is esports’ leading revenue stream, making up 39% of the pie. When brands that intrinsically appeal to the masses such as Coca-Cola, Intel and Red Bull are getting in on the deal, it simply reflects an appeal to a mainstream audience. Back in 2014, ESPN’s president John Skipper declared that esports wasn’t a “real sport,” eschewing the idea that gaming could ever be valid competition for traditional sports media. But it’s hard to argue with the numbers. Digital viewership for this year’s opening matches in the Overwatch League eclipsed that of Thursday Night Football, with over 10 million unique viewers on a variety of platforms. Skipper has seemingly pivoted on his views, as ESPN now has a digital vertical dedicated to esports and recently inked a deal with Electronic Arts to host Madden NFL tournaments on a variety of its channels. 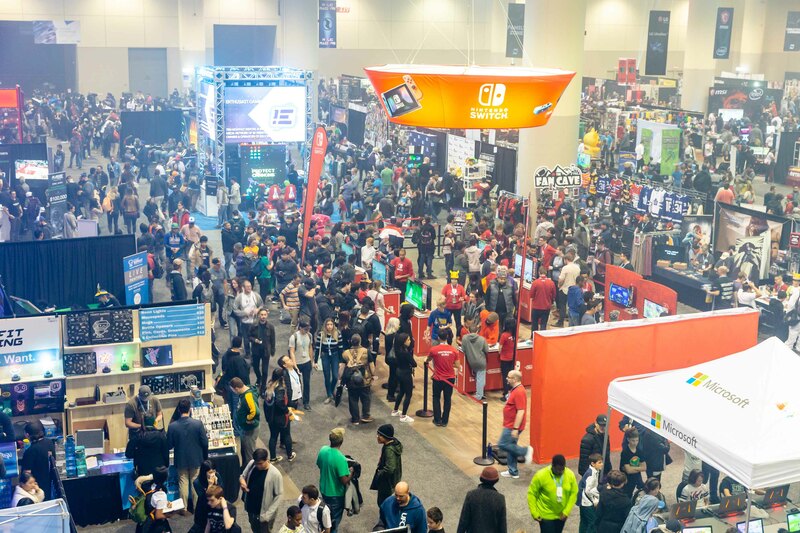 Over 30,000 attendees joined us at EGLX this October. These examples are just a select few validating the exponential growth of the industry over the last few years, and the expectation for it to continue. Innovation will further push its expansion. New technological advancements will shift gaming more toward digital distribution plans that generate higher margins and year-round revenue. Innovative technology, marketing, and brand partnerships will only accelerate the industry’s rise in the years to come, so there’s no better time than the present to get in on the action. Investment into newer publicly traded companies is a great way to get involved at the ground floor and hopefully benefit from the upswing on the bell curve. We suspect that there will be an influx of gaming companies going public near term, creating new opportunities for people looking to participate in the industry. Like any investment, it’s important to do your research and due diligence on the management and business. Talk to industry leaders, ask questions, seek professional investment guidance. It’s an exciting time for the gaming industry, and we think it’s just getting started! GAME ON. Stay tuned for our next blog post, where we’ll share our cheat sheet of Emerging Companies to Watch in the Canadian Gaming Sector. Next PostWho is Enthusiast Gaming? | Menashe Kestenbaum, CEO and Founder of Enthusiast Gaming Holdings Inc.